Content Scramble System (CSS) is a Digital Rights Management (DRM) scheme used on almost all commercially produced DVD-Video discs. It utilizes a proprietary 40-bit stream cipher algorithm,to accept DVD only for readm but not for copy, this could protect the copyright owner from DVD to be copied. Authentication is a process for a DVD drive and CSS Decryption module to recognize (or authenticate) each other. It is necessary before reading data from DVDs. An Authentication key is used for this process. Title keys are used for scrambling and descrambling actual data on DVDs called titles. A title could be a complete motion picture, a trailer or similar self-contained unit. Disc keys are used for decrypting title keys on DVDs. Player keys are used for decrypting disc keys on DVDs. 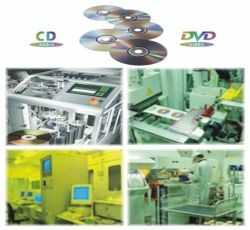 Each DVD player manufacturer is allocated one of approximately 400 player keys to incorporate in its players.